Reducing currency risk is becoming more prevalent as small business owners can cast a wider net of transactions internationally thanks to the Internet. But to protect your business (and your profits), one must learn the ins and outs of foreign exchange. 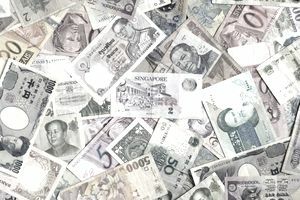 In this article, we highlight the key differences between a spot versus a forward foreign exchange and how to hedge against currency fluctuations. A spot foreign exchange rate is the rate of a foreign exchange contract for immediate delivery (usually within two days). The spot rate represents the price that a buyer expects to pay for a foreign currency in another currency. These contracts are typically used for immediate requirements, such as property purchases and deposits, deposits on cards, etc. You can buy a spot contract to lock in an exchange rate through a specific future date. Or, for a modest fee, you can purchase a forward contract to lock in a future rate. A forward foreign exchange is a contract to purchase or sell a set amount of a foreign currency at a specified price for settlement at a predetermined future date (closed forward) or within a range of dates in the future (open forward). Contracts can be used to lock in a currency rate in anticipation of its increase at some point in the future. The contract is binding for both parties. If payment on a transaction is to be made immediately, the purchaser has no choice other than to buy foreign exchange on the spot or current market, for immediate delivery. However, if payment is to be made at some future date, the purchaser has the option of buying foreign exchange on the spot market or on the forward market, for delivery at some future date. For example, you want to buy a piece of property in Japan in three months in Yen. You’re funding the purchase from a sale of a property in the United States in U.S. dollars, and you want to take advantage of the current exchange rate from Yen to U.S. dollar. Here you could use a forward. Regardless of what happens during the next three months on the exchange rate, you would pay the set rate you have agreed on rather than the market rate at the time. This same scenario applies to importing and exporting in terms of buying products in one currency (e.g., Yen) and importing and paying for them in another currency (e.g., U.S. dollar). Spot and forward foreign exchange agreements and contracts can be established through any sophisticated international banking facility–just ask. But you must first become a bank customer, complete appropriate paperwork and will, more than likely, have to make a deposit to serve as cash collateral. The primary advantage to spot and forward foreign exchange is it helps manage risk: allowing you to protect costs on products and services bought abroad; protect profit margins on products and services sold overseas; and, in the case of forward foreign exchange, locks in exchange rates for as long as a year in advance. It enables you to avoid the risk of currency fluctuations. This is called currency hedging. The management of foreign exchange should not be done by a layperson. It should be conducted by a knowledgeable finance individual, preferably an in-house treasurer, CFO or finance specialist who coordinates efforts with the purchasing, operations (manufacturing) and marketing departments of the business. For example, if the finance specialist sees or anticipates his local currency declining or that of his supplier or subsidiary base, he may purchase a stronger foreign currency as a reserve for future use. If the specialist is on top of his finance game, substantial income can be generated through foreign exchange transactions beyond that of normal company operations.